This is gorgeous and your coloring is outstanding. Thanks for entering this at Avadares Challenge Blog. This is JUst Gorgeous! FABulous colours and I LOve how you have made this scene with the two digi's. Gorgeous card! So bright, cheerful and Christmassy! Thank you for joining our Anything goes challenge at OSCC! Good luck! Gorgeous Christmas card! Wonderful work! Thanks for joining the Think Christmas Challenge at Southern Girls! I LOVE what you did with Kenny's image! Coloring is fantastic-great card! Thank you for playing with us on Southern Girls Challenge! 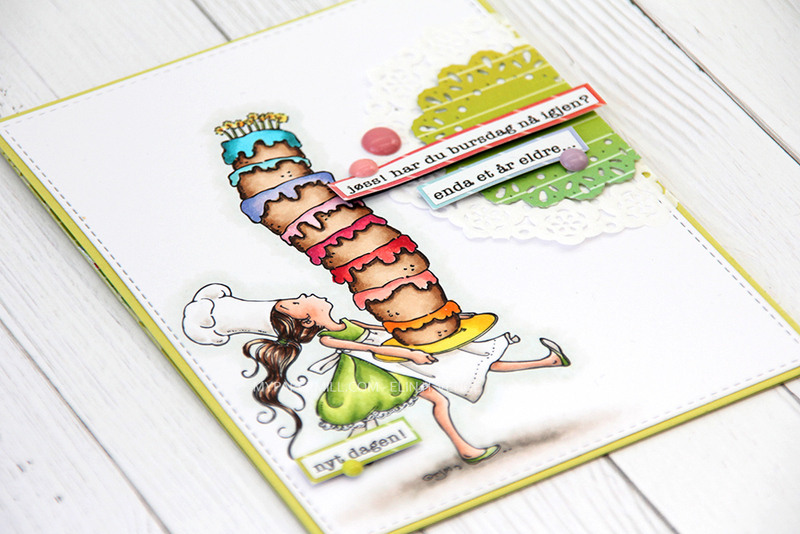 A gorgeous card Marita,thanks so much for sharing with us at Allsorts challenge this week. Fabulous card! I love the images, and the beautiful colours! I love that you decorated the inside, too. Thank you for joining in at Dream Valley. Beautiful colors and card. Wonderful image. Congratulations Marita. You have been chosen as Honorable Mention at Avadares Challenge Blog for the month of November. You can pick up your Honorable Mention badge from our sidebar.